Posted 6/18/2018 10:51pm by Core Committee. 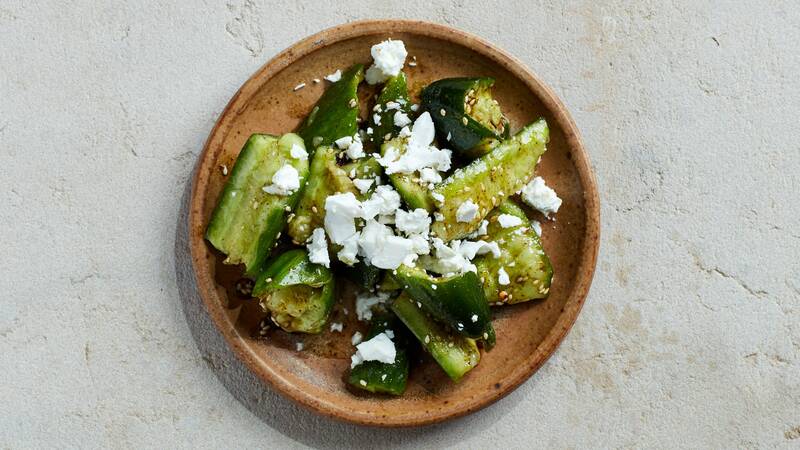 Cucumbers mean that it's officially summer, right? I'm looking forward to making this simple salad tomorrow night. Bon Appetit has a few variations on this this recipe and they all sound delicious. We're looking forward to another early summer bounty tomorrow. Please note that our pick-up will occur in the garden area by the church entrance again this week. If you have eggs, cheese, or honey add-ons, those are starting this week as well. We're looking for volunteers in the 4-6:30pm time slot this week. Please email us at info@washingtonsquarecsa.com and let us know if you can help out. If you haven't had a chance to sign up for your first volunteer shift, be sure to do so here. If you're interested in joining our core committee, we're looking for more members to join for the positions of Market Day coordinator and volunteer coordinator. Reach out to the info email account if you're interested! We have had a good start to the season. We are still operating on a spring schedule, but the veggies are doing well. Our greenhouses are also doing well. We have 3-5 new greenhouses currently being fabricated. In our current greenhouses, we have been planting daily for fall crops. Other news for this week, it is the end of Ramadan! Our guys have been fasting for the past month. They have been working very hard and will finally get a day off. Friday will be spent celebrating eid. We are also starting some new products this week. We plan on featuring Palatine cheese 8oz blocks, 1lb Honey jars, and hopefully the 13oz Granola bags. The Granola may not arrive this week; In that case we will start the Granola the following week. Lastly, I would like to introduce myself. My name is Steven Bischoff and I have been Interning this summer at Norwich Meadows Farm. I have been the contact for CSA this season, and have been the one writing the weekly newsletters.